REDUCED! THIS BARGAIN BUNGALOW IS AN EXCELLENT OPPORTUNITY TO CREATE YOUR COZY COTTAGE THE WAY YOU WANT IT TO BE!!! THERE IS A LOT OF VALUE IN HAVING THIS HUGE, LARGELY LEVEL LOT WHICH COULD SERVE MANY PURPOSES: Recreation & Play, Gardening, Build a Workshop...! The home already has a brand new roof, as well as replacement windows, the flooring is all solid surface w/a mixture of wood & laminate... all this topped off by a nice, open layout! Currently, the home has no appliances or heat/ac; so THIS WILL NEED TO BE A CASH SALE, as it stands. 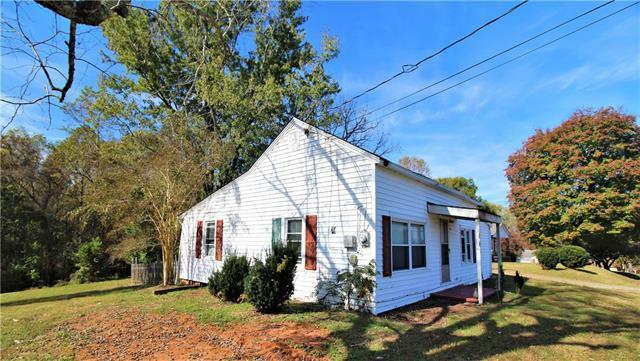 A Great Home for a RENOVATION LOAN, WELL BELOW TAX VALUE... it will bring you A Great Return; be it a Flip, Fixer Upper you'll live in....or even a Rental! There REALLY IS A LOT OF POTENTIAL HERE!!! JUST REDUCED, SO CHECK IT OUT TODAY! !